Some of you on Twitter might have noticed that, once a month, I go cray over 2 specific beers, describe them in great depth and chuck in a few photos of me looking DELIGHTED (see below for examples of Delighted Face). This is all part of #beerybits, an initiative from Ales by Mail that brings beer fans together through the medium of Twitter. Each month they showcase 2 beers (which you can purchase through their website) and we drink, critique and tweet. 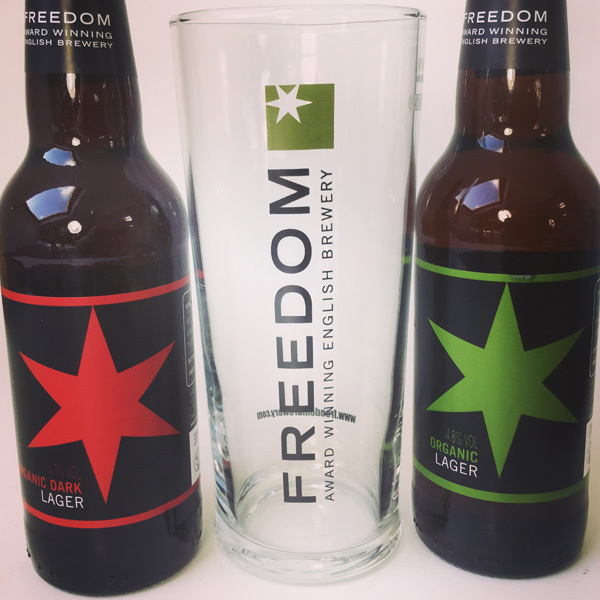 The next #beerybits Twitter tasting is on Wednesday 16th September, 8pm-9pm and we’ll be tasting these two beauties from Freedom Brewery, that I’m very excited to get my mitts on! Not only that, but this month’s tasting will be hosted by Matt Chinnery, otherwise known as @halfpintgent. He has a great blog which I really enjoy reading, so I’m looking forward to have a chinwag (ho ho ho) with him over these two great looking beers. To get involved, go here to buy your tasting pack. Hope to talk to you next month!